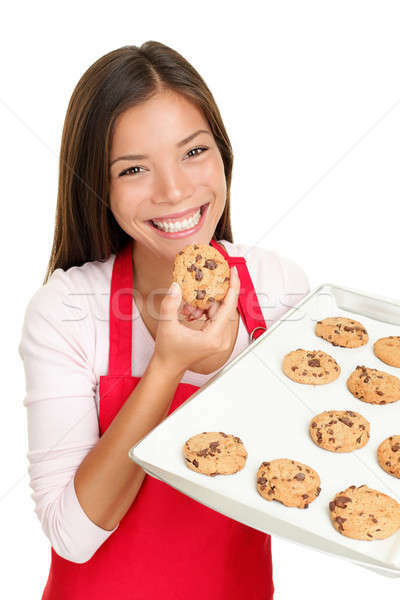 Foto stock: Mulher · alimentação · bolinhos · feliz · fresco / baking woman eating cookies fresh from the oven. 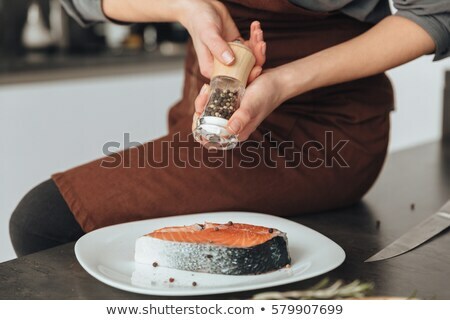 Happy smiling mixed race Chinese Asian / white Caucasian cooking at home. Isolated on white background.